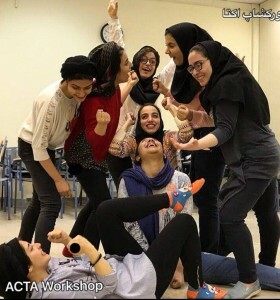 “In hame sangar va adamhayee ke…” Written and directed by Rouzbeh Hosseini, Teheran city theater, Sayeh theater hall, 2012. “Amiz ghalamdoon” written by Akbar Radi, directed by Rouzbeh Hosseini, play reading, Teheran, House of artists and Hafiz theater hall, 2012. 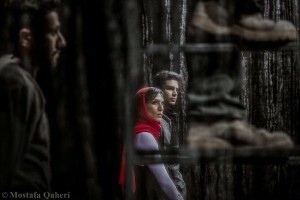 “Se Marsiyeh Hazyan…” Written and directed by Rouzbeh Hosseini, Teheran city theater hall, Kargah Namayesh theater hall, 2012. “Vaghti to nisti…” Written by Rouzbeh Hosseini, directed by Melika Razi, play reading, EbneSina theater hall, 2013. 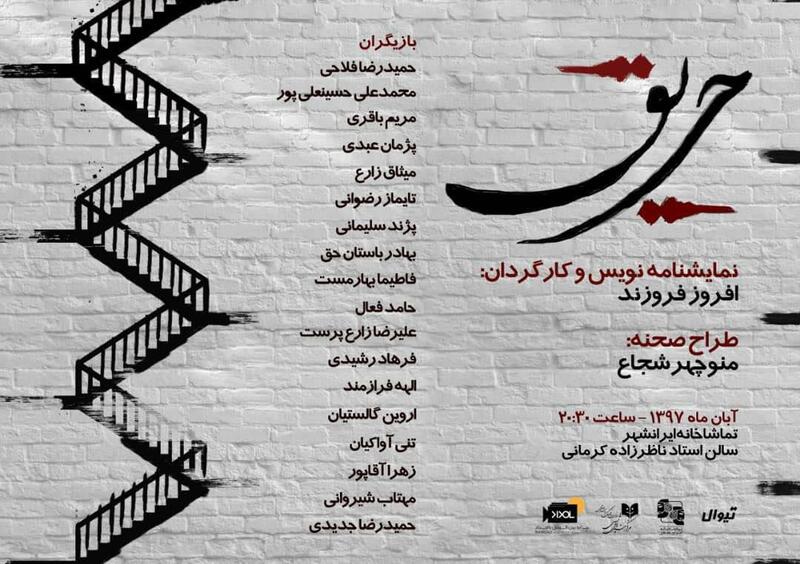 “Baraye to Mahboose an tong” The dialogue were written by Pajand Soleymani, Directed and designed by Payam Dehkordi, enviromental theater ,Ghasr prison, 2014. 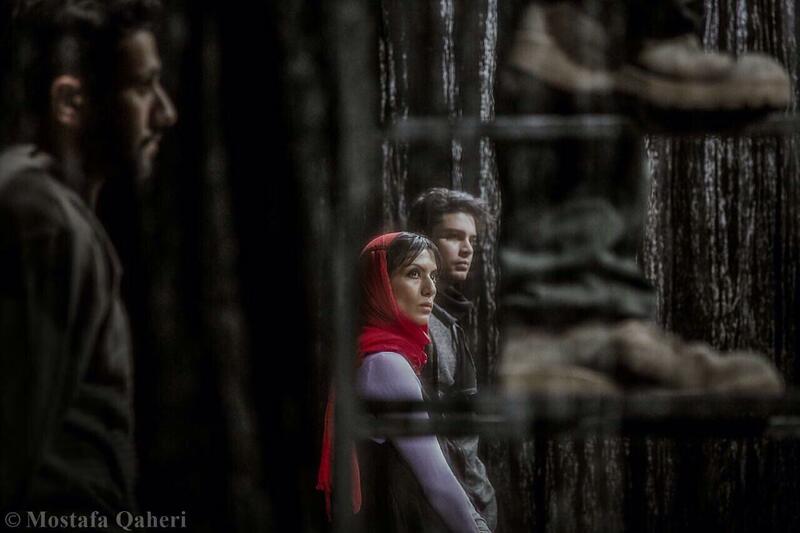 “Persona” written by Payam Larian based on Persona by Ingmar Bergman, directed by Melika Razi, Teheran, Entezami theater hall, 2015. 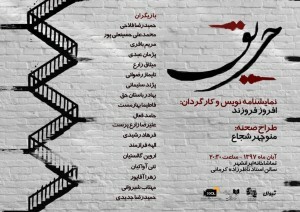 “Bahman” written and directed by Afrooz Foruzand, Teheran city theater, Sayeh theater hall, 2016. Performer for “Theater-Society” and “Cinema-Society” radio programs, Drama radio, since 2013.